Oklahoma Court Reporters | National Court Reporters, Inc.
Are you in need of a court reporter in Oklahoma who can offer real-time, totally accurate transcription services to help support your case? National Court Reporters Inc can help. Our network of certified court reporters includes tenured professionals with wide-ranging experience, including with medical malpractice, personal injury, and intellectual property law cases, among most others. What sets National Court Reporters Inc apart? 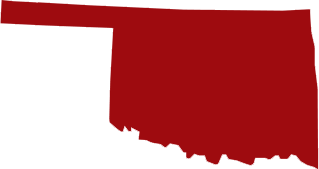 Our ability to go beyond just court reporting in Oklahoma makes us a unique court reporting firm. Thanks to our state-of-the-art resources and thorough understanding of your litigation needs, we also offer support services in a full range of other capacities, including video reporting and conferencing, translation and interpretation services, process serving and general trial support. Because we integrate seamlessly into your team, we’re able to provide support in whatever capacity you demand. Put your trust in our Oklahoma court reporters when you need experienced litigation support. We promise your case will benefit. Our services are available to legal professionals throughout the state and nationwide.